Money Q&A: How can I cut the costs of gardening? 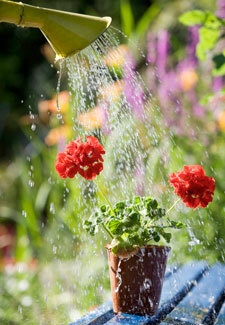 Q: How can I cut the costs of gardening? A: Being green-fingered needn’t cost a fortune. There are lots of ways to save on gardening costs, such as growing plants from seeds and even getting the seeds for free from liked-minded gardeners on gardenswapshop.co.uk. Look on your local freecycle website for unwanted pots, wheelbarrows and even plants or trees and cut water bills by collecting rainwater and using that to water your plants. You can even make your own compost by recycling old cuttings and kitchen waste (such as tea bags and vegetable peelings).